BEIJING, China successfully launched the Tianlian I-04 satellite on Tuesday from the Xichang Satellite Launch Center in southwest China's Sichuan Province. 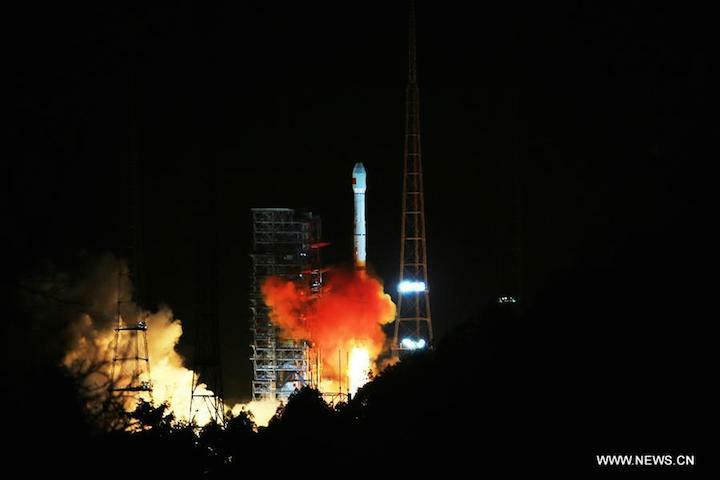 The satellite was launched on a Long March-3C carrier rocket at 11:24 p.m. Beijing time, said sources with the center. The network is expected to provide data relay, measurement and control services for China's manned spacecraft, space labs and space stations, according to the center. China launched its first data relay satellite, the Tianlian I-01, in April 2008. The second satellite was launched in July 2011, and the third was launched in July 2012. Since China's first experimental communications satellite was launched in the Xichang Satellite Launch Center in 1984, the center has sent more than 100 spacecraft into space in recent decades, including over 20 BeiDou navigation satellites and the country's first lunar probe, Chang'e-1. According to the center, 10 or more satellites will be launched there in 2017.